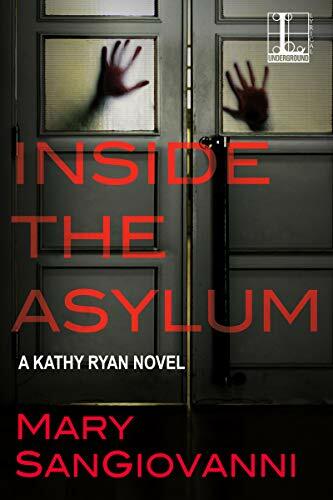 From “master of cosmic horror” (Library Journal) Mary SanGiovanni, comes the latest terrifying novel featuring occult specialist Kathy Ryan . . .
A mind is a terrible thing to destroy . . .
Connecticut-Newlyn Hospital for the Criminally Insane, the same hospital where her brother is housed. Her employers believe that Henry has the ability to open doors to other dimensions with his mind—making him one of the most dangerous men in modern history. Because unbeknownst to Kathy, her clients are affiliated with certain government organizations that investigate people like Henry—and the potential to weaponize such abilities. What Kathy comes to understand in interviewing Henry, and in her unavoidable run-ins with her brother, is that Henry can indeed use his mind to create “Tulpas”—worlds, people, and creatures so vivid they come to actual life. But now they want life outside of Henry. And they’ll stop at nothing to complete their emancipation. It’s up to Kathy—with her brother’s help—to stop them, and if possible, to save Henry before the Tulpas take him over—and everything else around him. 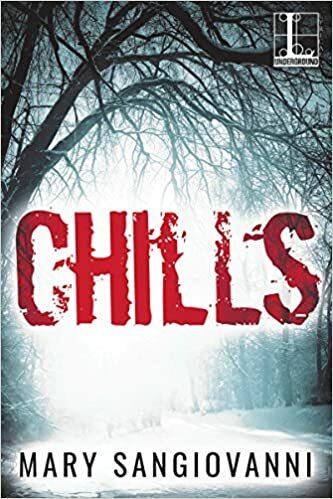 Occult specialist Kathy Ryan returns in this thrilling novel of paranormal horror from Mary SanGiovanni, the author of Chills . . . Some doors should never be opened . . . In the rural town of Zarepath, deep in the woods on the border of New Jersey and Pennsylvania, stands the Door. No one knows where it came from, and no one knows where it leads. For generations, folks have come to the Door seeking solace or forgiveness. They deliver a handwritten letter asking for some emotional burden to be lifted, sealed with a mixture of wax and their own blood, and slide it beneath the Door. Three days later, their wish is answered—for better or worse. Kari is a single mother, grieving over the suicide of her teenage daughter. She made a terrible mistake, asking the powers beyond the Door to erase the memories of her lost child. And when she opened the Door to retrieve her letter, she unleashed every sin, secret, and spirit ever trapped on the other side. Now, it falls to occultist Kathy Ryan to seal the door before Zarepath becomes hell on earth . . .
Nilhollow — six-hundred-plus acres of haunted woods in New Jersey’s Pine Barrens — is the stuff of urban legend. Amid tales of tree spirits and all-powerful forest gods are frightening accounts of hikers who went insane right before taking their own lives. It is here that Julia Russo flees when her violent ex-boyfriend runs her off the road . . . here that she vanishes without a trace. State Trooper Peter Grainger has witnessed unspeakable things that have broken other men. But he has to find Julia and can’t turn back now. Every step takes him closer to an ugliness that won’t be appeased—a centuries-old, devouring hatred rising up to eviscerate humankind. Waiting, feeding, surviving. It’s unstoppable. And its time has come. “True Detective” meets H.P. Lovecraft in this chilling novel of murder, mystery, and slow-mounting dread from acclaimed author Mary SanGiovanni…. It begins with a freak snowstorm in May. Hit hardest is the rural town of Colby, Connecticut. Schools and businesses are closed, powerlines are down, and police detective Jack Glazier has found a body in the snow. It appears to be the victim of a bizarre ritual murder. It won’t be the last. As the snow piles up, so do the sacrifices. Cut off from the rest of the world, Glazier teams up with an occult crime specialist to uncover a secret society hiding in their midst. From the author of the Hollower Trilogy and Thrall comes a terrifying new novel of madness and horror…. The Bridgewood Estates apartments are clean, modern and new—the perfect place for Myrinda and her boyfriend Derek to start a new life together. But the apartments have an extra feature not advertised—they’re built on a gateway to another world, an abyss of chaos from which horrific monsters known as the chaotic ones have come to spread their insanity sickness. As the tenants of Bridgewood descend into lunacy, unthinkable acts and violent deaths accumulate around Myrinda and Derek. They’ll have to fight Myrinda’s own growing madness or succumb to the whims of the chaotic ones. The last thing Jesse Coaglan ever wanted to do was return to his hometown of Thrall, New Jersey. Tucked away in the wilds of the northwestern corner of the state, Thrall has always been a very strange place to live. The town was a poison that affected people’s minds, their souls, their bodies, and their perspectives. So Jesse abandoned his friends and the one woman he loved, and left everything behind. Seven years later, Jesse has found a reason to return — a reason that, in spite of his best attempts otherwise, he can’t ignore. His old love, Mia Dalianis, has left him a voicemail message begging him to come back, if not for her, then for the daughter Jesse never knew he had. Jesse needs to go back. He’s been running for a long time — from relationships, friendships, everything he is afraid of and feels guilty over. He realizes that the nightmares will never stop until he goes to Thrall. With help from Nadia Richards and some old surviving friends from Thrall, Jesse intends to find his daughter or die trying. He goes looking for redemption, but what he discovers about his old hometown may destroy him and everyone he’s ever cared about. Erik McGavin finally has his life back from the monsters who sought to destroy him inside and out. He has come from having nothing to having a happy, stable life with his beautiful wife, a home, and a baby on the way. But there are signs the rift has opened again, and that what has come through this time is the ultimate deadly force: the Three are looking to cauterize our dimension, and have powers beyond anything our world – or theirs – have ever seen. In the town of Lakehaven, New Jersey, an evil has returned from between dimensions. It is looking for vengeance. It is looking to destroy, body and soul. Dave Kohlar and his friend Erik fought an evil like it once before, and they were nearly killed trying to defeat it. They had hoped that it was over, and their lives could be peaceful and happy. But this kind is different; it is hungrier, it is angry, and it is very, very strong. With loved ones falling prey to its all-encompassing hate, Dave and Erik and some new friends look to close the door on it for good. Release date for BEHIND THE DOOR! To purchase any of Mary's currently available books, visit the BOOKSTORE.